This website is under construction, bear with us and if you discover anything not working yet, please support us and email website@powerwood.org.uk. Thank YOU! Many of us have felt isolated, inadequate, blamed ourselves or have been blamed by our social environment, friends and/or family for our own and/or our child’s behaviour. We have been told that if we would be more strict, or if we would be more lenient (can be very extremely different), the current issues with ourselves and/or our children would be non-existent. This is our opportunity to enrich our community in which you can experience a safe place where you can share your reality while being respected and supported in a compassionate, understanding and enjoyable community by becoming a member and getting access to learning about research and experienced-based Tools and Strategies. PowerWood supports intense, sensitive, hyper-reactive (more)able individuals, young adult, teens, tweens, children, parents, couples and families with theories, practical tools and strategies. Join us as a FreeBee or Friend member (one membership per household) to benefit from our expertise and support as a community-driven social enterprise. By joining you are supporting our PowerWood Community and you are validating PowerWood’s energy, efforts and determination, therefore, making it possible to continue to offer sustainable support and to secure funding for future projects. Join us as a FreeBee or Friend member (one membership per household) to benefit from our expertise and support as a community-driven social enterprise. Thank YOU for your support! Your Free Introductory Talk of 45-60 minutes by Skype or FaceTime will be with Senior Consultant Simone de Hoogh. During this Free Introductory Talk, you will get the chance to assess if you think or feel if working with Simone would be the right path forward for you. 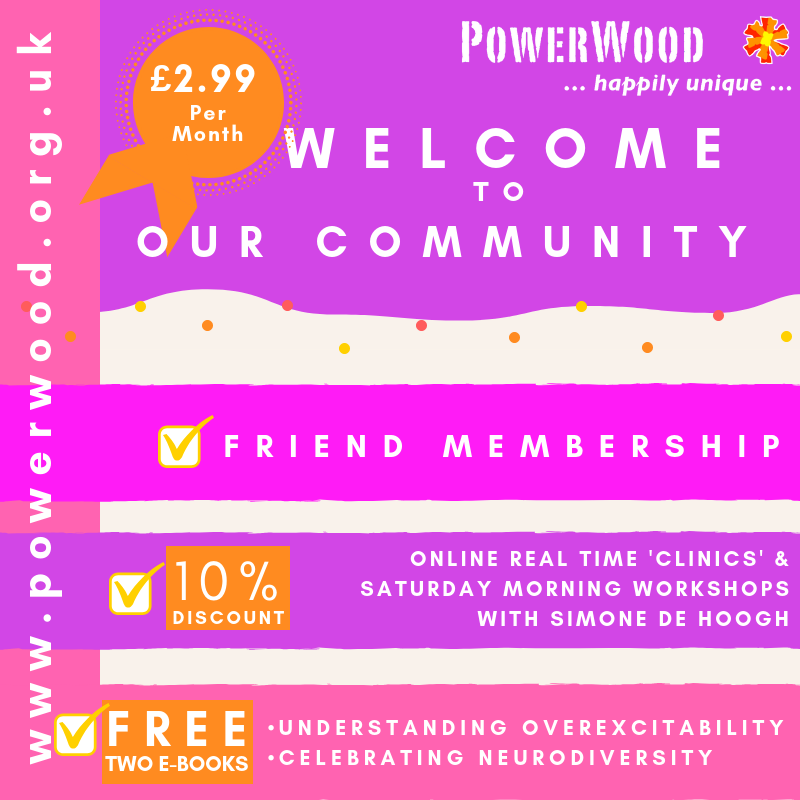 For Simone de Hoogh this talk is a chance to get to know you a bit and collect information about you and your situation and to assess if she or PowerWood can be of help in any way or if she better refer you to someone else or another organisation. Simone de Hoogh will explore together with you what the issues are that you or your family feel challenged by and explore the bigger picture. At the end of your talk, she will share if she thinks she or PowerWood current services can be of help and if yes how. 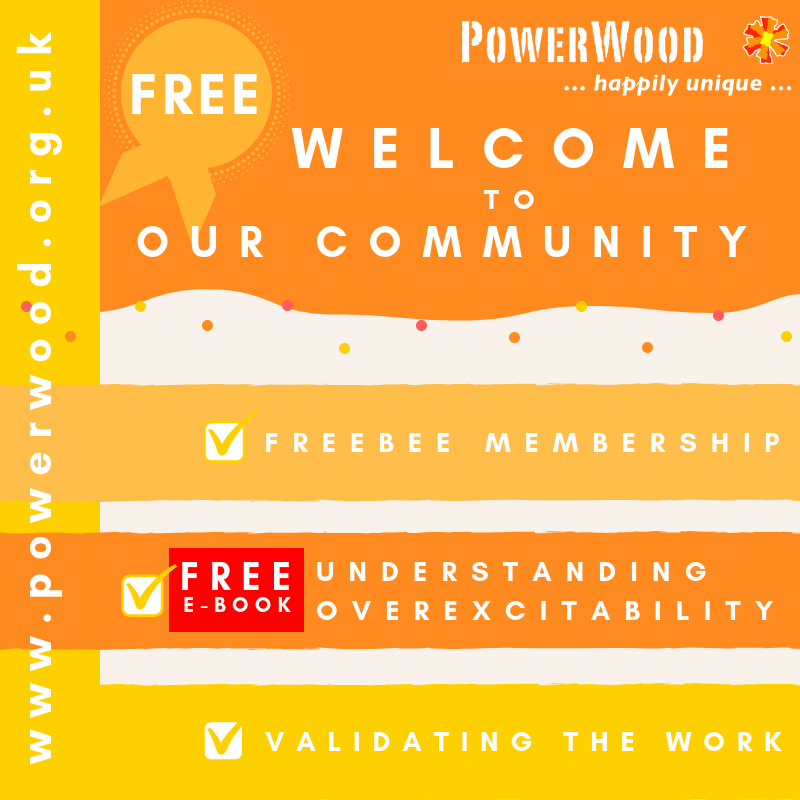 *Free Introductory Talks are available to FreeBee or Friend members of PowerWood. Explore how joining our PowerWood community by becoming a member benefit you and what types of memberships are available. Dyslexic? Yes I am… and YOU?